A little hyperopia is not a problem because the lens compensates easily but if there is a significant amount of hyperopia, the effort of focusing (called accommodation) can lead to symptoms. A hyperopic person can have normal vision but the greater the hyperopia, the harder it is to focus. Vision may become blurry, especially for close objects, because the closer the object the more focusing is required. Hyperopic people may get tired eyes or headaches after a lot of visual work, even if their vision is clear. Reading is more difficult and school work can be affected. Hyperopia is treated using corrective lenses - either glasses or contact lenses - to alter the way that light enters your eye, meaning you can see in focus. During an eye exam with Shannon at Outlook Eye Centre, she will discuss with you what options you have to adjust your vision. Contact lenses are a popular choice for many people, particularly those that are very active and glasses would be impractical. 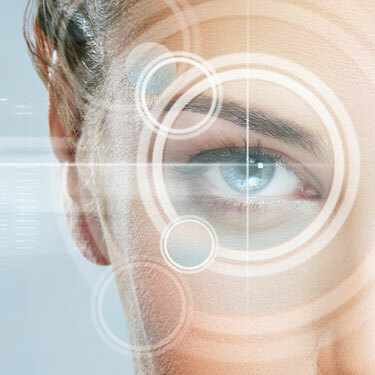 Laser surgery is also an option, which can be discussed with your optometrist. However, it is not suitable for everyone.